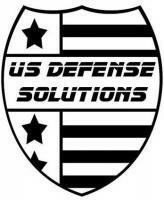 US Defense Solutions – the best products at the best prices! By checking out, you agree to the Terms and conditions listed under the Terms and Conditions Tab! RETURNS Before returning any items, please make sure to contact us at USDS.Mike@gmail.com to obtain an Authorization number. If you are not satisfied with your purchase, please contact us for a Return Merchandise Authorization (RMA) request within 10 business days of the receipt of the product. If the item is returned unopened in the original box, we will exchange it, offer you store credit, or offer you a refund, less 15% restocking fee and less the shipping charges, based on your original method of payment. The product must be returned within 10 business days of the issuance of the RMA. All products must be packed in the original packaging, including any accessories, manuals, documentation and registration that shipped with the product. A 10% open box fee in addition to the 15% restocking fee (totaling 25%) will be assessed on any sealed product that is opened or removed from its original packaging. Please note that we do not permit the return of the following products: 1. Special orders and products that are custom configured to your specifications. 2. Products sold "as is" or "used" or that have been installed or used after receipt. 3. NFA items that require ATF Transfer after the start of paperwork. 4. Illumination devices, electronic sights, optics and night vision equipment. 5. Ammunition of any sort. Defective Items; In case there is a manufacturer's defect, we will provide you with either a full refund or a replacement once returned to before returning an item, please make sure to contact us at USDS.Mike@gmail.com VERY IMPORTANT NOTE: Due to large ammounts of fraud we are now only shipping to the billing address! So please make sure that both fields match or your order will not be shipped out.